The world’s largest exhibitor Regal has announced plans to convert 25% of all its screens to luxury seating. The move mirrors similar efforts by other large chains such as AMC and Marcus Theatres, and is an attempt to extract more revenue from patrons as cinema attendance declines in the United States. The announcement came during Regal’s Q4 2014 earnings conference call when CEO Amy E. Miles gave an overview of plans for capital investments “to enhance the customer experience in 2015,” covering several areas including seating, concessions/F&B and more. 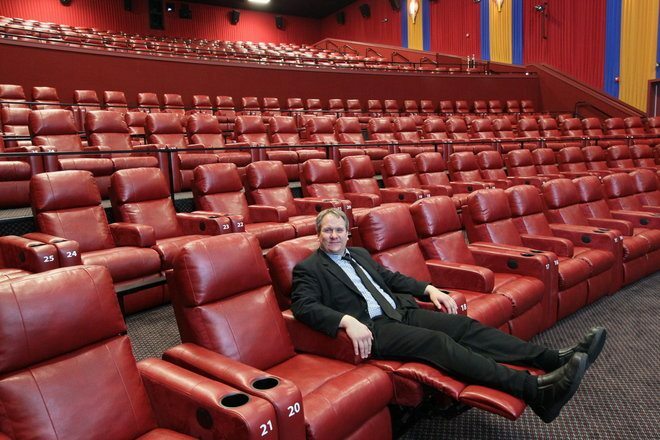 Regal installation of luxury recliner seats has been going on for some time, but was said to have gained ‘significant momentum’ in the last quarter of 2014. Significantly, a large enough installed base of luxury seating now exist to make meaningful year-on-year comparison in terms of revenue generated from premium seating. Converted screens were said to be producing box office revenue growth in excess of over 40% for the first six weeks of 2015. While some of that can perhaps be attributed to the surprise success of “American Sniper”, one film alone cannot shift all converted screens. Overall box office was said to ‘only’ be up by around 10% in the same time period. The success of the first wave of premium seating has led Regal to accelerate its conversion program, with 40 multiplex sites representing 500 screens scheduled to have their seats swapped out in the coming year. Ultimately Regal expects to outfit at least 25% of their screens with luxury seating. Miles also discussed the ” low-cost, low-risk investment” to upgrade food and beverage offerings to offer greater food menu options and alcoholic beverages. Though not mentioned in the conference call, the latter may be “low risk” but still requires approval or local regulations to be amended and relaxed, which requires political action at the county or district level. This means that cinemas can only ‘convert’ to alcohol serving once they have local permission to do so, while the pace of rolling out luxury seating is Regal’s decision in conjuncture with the landlord. The “enhanced menu” will be rolled out to a further 65 locations in 2015, while Regal will offer some type of alcoholic beverage in around 80 properties. [A]s we reseat these theaters, the vast majority of the theaters, we will go in and we’ll reseat every single auditorium. There’ll be some rare instances where we may not do that, but that will be more because of the layout of the theater or maybe just that we want to have a few specialty screens at a larger theater. So by and large, we’ll go through and fully outfit a theater with luxury seats. And as for the economics, the conversion cost all-in is probably $200,000 to $225,000 a screen to outfit a theater with a — I’m sorry, an auditorium with recliners. Landlords are bearing part of that cost and I’m going to ballpark that at kind of 25% to 35% on average of that cost. So when you think about that in terms of CapEx plan for 2015, we’ll spend our normal amount that we typically do, about $55 million to $60 million on what we would call maintenance CapEx. It is worth emphasizing that in Regal’s definition of ‘maintenance capex’ this does not just include the luxury seats but also everything from the carpets to upgraded ticketing and concession stands. This means that the difference of USD $80 million is classified as ‘growth capex’ that goes towards building new screens, investment in premium large format (PLF) screens and, yes, luxury recliners. Out of this USD $80 million the re-seating is expected to take up the “lion’s share” but more specific figures were not revealed. The increase in patrons in converted sites are said to be both from people switching over from other cinema sites as well as new or returning patrons attracted to the cinema. Premium seating is also linked to a lift in concessions spending. In some ways, Regal is a follower rather than leader in the premium seat conversion trend. There are already similar, if not more aggressive moves underway by major chains such as Marcus Theatres and AMC. While Regal has to negotiate seating changes and contributions from the landlord, Marcus owns around 85% of its cinemas and can thus move more swiftly, though without external financial contributions to the capex. In its most recent earnings call in December of last year, Marcus announced that it was able to upcharge USD $0.50-0.75 for its DreamLounger premium seats. However, the company is not putting a hard figure on its roll-out plans, with President and CEO Gregory S. Marcus stating, “we’re not going to put any numbers as it relates to, look, we’re going to do X number more locations at this point in time.” Instead reseating is being evaluated on a location-by-location basis. [B]y now we have deployed recliners and remodels to 550 screens at 48 locations. In those, as a group we have seen admissions revenues per screen growth of 14% during the third quarter of 2014. To be clear, the solid top line per screen growth came in a period, where industry admissions revenue per screen, were down 13%. That’s a 27 point swing. Those kind of swings are not accidental, not 27 points. AMC also claims that 60% of audience increase that comes from the re-seating program stems from “proximal competitors”, i.e. people choosing AMC cinemas with luxury seats over a nearby competitor without such seating facilities. The other 40% is attributed to loyalty programmes, better programming and improved beverage (i.e. alcohol) options. AMC does not increase ticket prices for premium seat screens in their first year, but with 27 out of 48 locations that have undergone re-seating now in their second or third year, the increased box office is starting to be tracked and benchmarked. During this time prices rise by 12% and then 30% on average. Unlike Marcus, AMC is more aggressive, with an increase of up to USD $1.25 per seat/ticket for these mature premium seating venues. Yet Regal et al also face competition from the smaller chains that have made premium seating, along with enhanced F&B options, the core of their cinema proposition. While their geographical footprint was initially small, the likes of Alamo Drafthouse, Landmark, iPic and ArcLight are starting to prove significant competition in major metropolitan markets in the US. These chains were quicker to capitalize on an older demographic, serving alcohol and also offering event cinema (alternative content) such as opera, at a premium price. In stating that it will convert a quarter of its screens to premium seating, Regal is in many ways not being aggressive but making a defensive move. Although 2015 is predicted to be a record blockbuster year, the longer term trend in North America is shrinking cinema attendance. Think of recliner loungers not as luxury seats but as the Imax for your posterior and you will understand why it is so important to the future of cinema exhibition.